Fine Line Filler for the lines around your lips and lip area. Now there’s a facial filler designed to fill in those pesky lines around your mouth – Restylane Silk™. Rhinoplasty Specialist, Dr. William E. Silver, at the Atlanta Institute for Facial Aesthetic Surgery now offers his patients Restylane Silk™. This is the only facial filler on the market that has been FDA approved specifically for the lip area. Now you are able to have those vertical lip lines plumped to where you can hardly see then and you can also fill in thin lips lips all to create a more youthful mouth area. Before & After photos of Restylane Silk. As you age, the lip area can become full of vertical lines which are often referred to as “smoker’s lines”. Even is you never smoked, lines can form in this area causing your lipstick to bleed, not to mention just plain unattractive to look at. Another sign of aging is thinning lips and many women have very sensitive lips. Restylane Silk™ can reverse these aging signs by filling in the lines and adding volume to the lips. 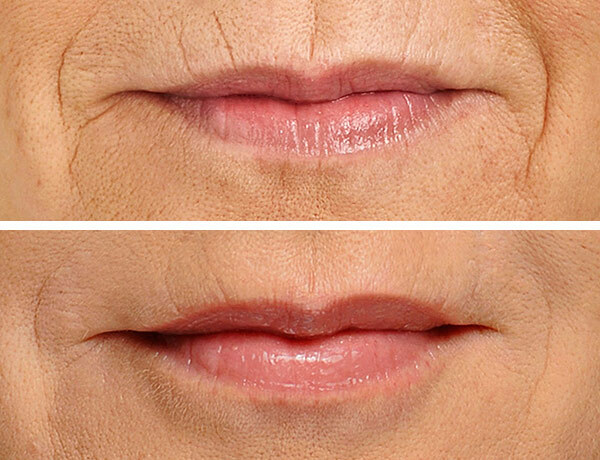 Prior to Resylane Silk, vertical lip lines have defied the use of traditional filler, often causing ridges to form instead of a smoother surface. Restylane Silk has solved that potential problem. Restylane Silk or Restylane – Which should you use? You and your doctor can discuss which is best for you. If you have a very thin and sensitive lip area, Restylane Silk™ might be the choice for you. If you have normal tissue and have not been bothered by Restylane being injected into these area, you can still enjoy the benefits of Restylane. While Restylane Silk™ is a great addition to the filler offerings, it is less likely to last as long as Restylane™. Studies show a great majority of patients still have good results from Restylane™ at 6 months. Because Restylane Silk™ is a more delicate filler, it may not last quite as long as regular Restylane™. Laser Resurfacing or Restylane Silk? Botox and facial fillers can give you a more youthful appearance in just a few minutes with no surgery, no down time. If you would like to find out more or begin treatment, call Dr. William E. Silver at 404-586-4790 to schedule an appointment. He is conveniently located on Johnson Ferry Rd. in Atlanta within the Northside Hospital Campus.